Most property managers and maintenance engineers have experienced the aggravation of having to deal with wet basements. Quality 1st Contracting has permanently repaired such problems in hundreds of condominiums and coops. Whether the problem is poor drainage systems, weeping cracks or walls, or overflowing gutters, our company has the solution for any basement problem you may encounter and the aptitude to get the job done quickly, effectively, and permanently. There's no job too large or small -- just contact us to get started! Let one of our waterproofing experts give you a Free Estimate to help you make dry basements and happy residents. Quality 1st Contracting uses the most effective and long-term solutions for wet basements, including interior subfloor drains that install quickly and won’t disrupt your routine. Our products have been used to repair and keep basements dry in the United States, Canada, and the United Kingdom since 1987. Basement water problems are often as old as the structures themselves. Water will leak into a basement through any opening it can, including your walls, floors, and the joints between them. Water can even pass through the concrete itself -- which is one reason basements are notoriously damp, humid spaces. Other companies may try to sell you inferior basement waterproofing solutions. Our products have been developed, patented, and perfected by Basement Systems, the world's largest network of basement waterproofing companies. Meet with one of our dry basement experts, and we'll show you how we can customize your waterproofing solution to keep the basement dry all the time! 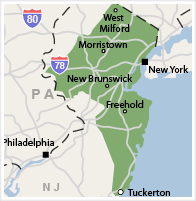 We work in Paterson, Jersey City, Newark, Elizabeth, and nearby, just contact us for a free cost estimate!